With the advent of emerging FinTech startups, banks face some competition for payments. 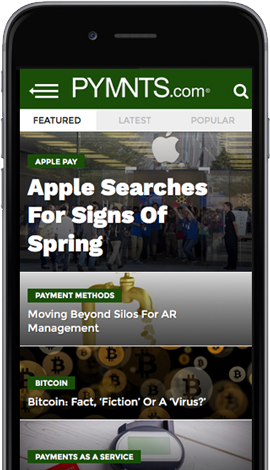 When a consumer or a company wants to send a payment, they can now do so instantly from their smartphone with services such as Apple Pay or Venmo. As a result, banks are investing in and engaging with FinTech startups to grow their customer base and their market share. With peer-to-peer (P2P) payment services, such as Venmo that offer instant payments, becoming a real option for eCommerce consumers, banks face some competition for their traditional payment offerings. To help drive innovation, 25.5 percent of financial institutions are focused on new products, according to the PYMNTS Bank Innovation Readiness Index. Here are five offerings that professionals in the field should keep in mind as they seek to reach people or companies that would like to make payments. — About a third — or 33.2 percent — of payments executives are focused on real-time payments. Stripe, for example, offers Instant Payouts, a service built for marketplaces and their 1099 workers. Functioning properly, contract workers can reportedly be paid “within minutes” directly to a debit card. Lyft, Care.com and goPanache all already are participants in the program. According to reports from within those firms, the service is a competitive advantage against other marketplace businesses that make their workers wait to get paid. Lyft publicly touted its year one stats with the program — according to their reports, it has paid out $500 million to drivers. — About two in 10 — or 17.8 percent — of payments executives are focused on contactless payments. Apple’s payment service Apple Pay, for example, is gaining in popularity, with many financial institutions accepting the digital payment method. According to a report, the new group of banks to now support Apple Pay include American Eagle Financial Credit Union, Central Virginia Federal Credit Union and Community Bank & Trust of Florida, among others. Since Apple launched Apple Pay in the U.S., the payment method has been expanded to include Canada, France, Russia and Switzerland — in addition to many other countries. — Only 6.5 percent of payments executives are focused on contextual payments. Yet retailers are now offering shoppable photos on partner websites. Through a partnership with eBay, Mashable is making the task of finding that suit, dress or accessory a little bit easier. While the program is still just a pilot, journalists working for Mashable will be able to take a photo of, say, a celebrity and tag elements of his or her outfit with links to similar products available for sale on eBay. To purchase the items, a reader simply clicks on the links, which come in the form of shopping tag icons embedded in the photo. — A whopping 42.5 percent of payments executives are focused on peer-to-peer (P2P) payments. And these types of payments are becoming more mainstream in retail: Venmo, the peer-to-peer payment company, is enabling its users to pay for purchases at retailer Williams-Sonoma. Consumers can use money in their Venmo account or charge their bank account to purchase or split gifts with others on Williams-Sonoma’s web properties. To make a profit from the service, Venmo charges a processing fee to the retailer. Still, the news is beneficial to Venmo and the merchant, as it brings new customers to Williams-Sonoma while expanding the number of PayPal users. In total, the 10 largest U.S. banks by assets have made 81 deals with FinTech companies since 2012 — and more than $4 billion in funding. If that history is any indication, the trend could continue as banks seek to update their payments offerings.